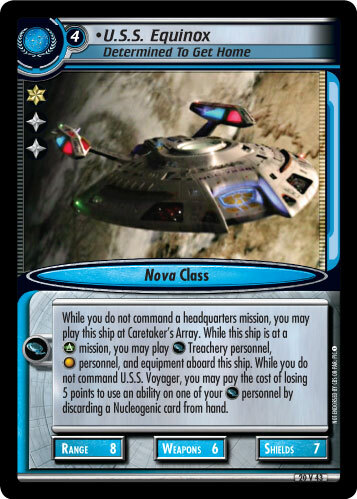 You may play this ship at cost -4 to ignore its next ability. 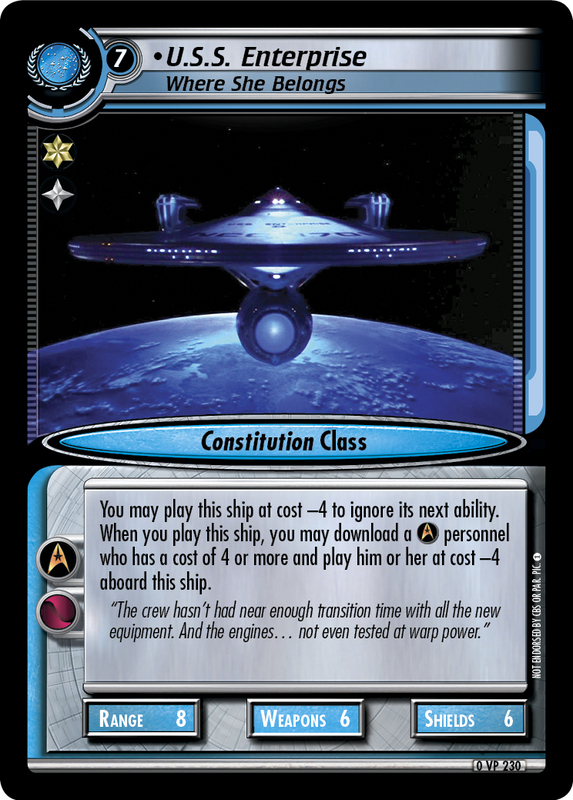 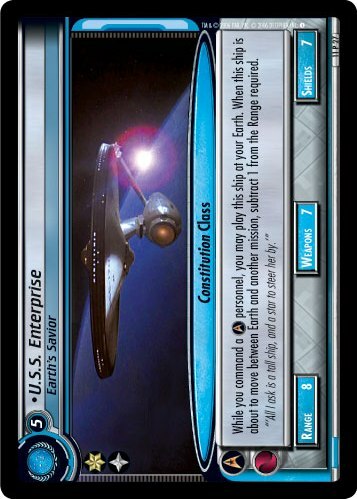 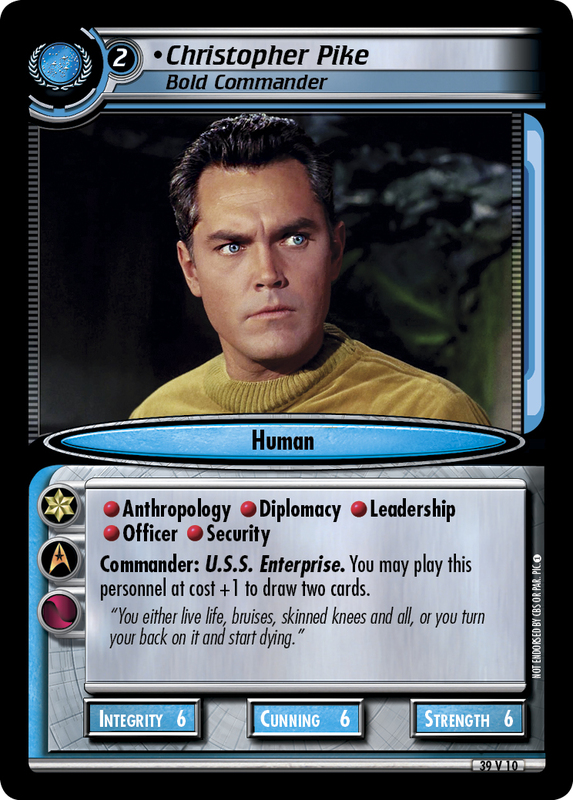 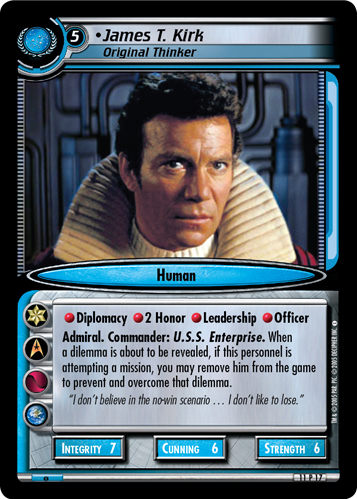 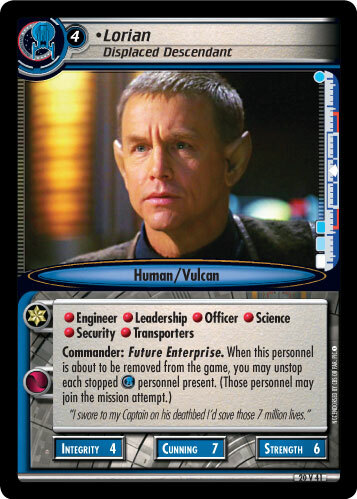 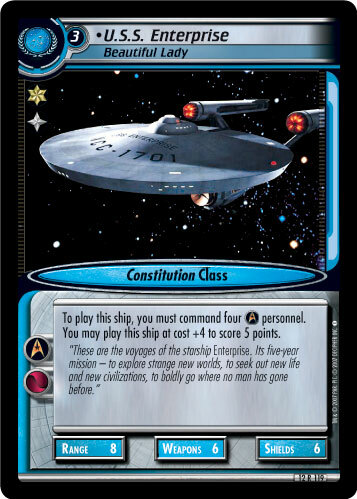 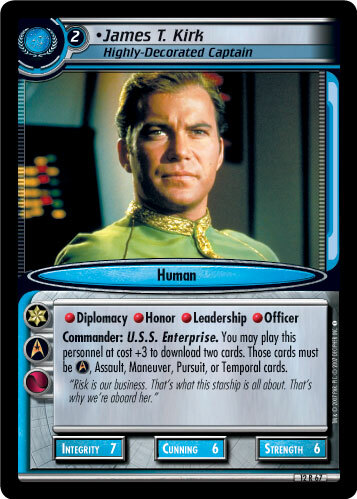 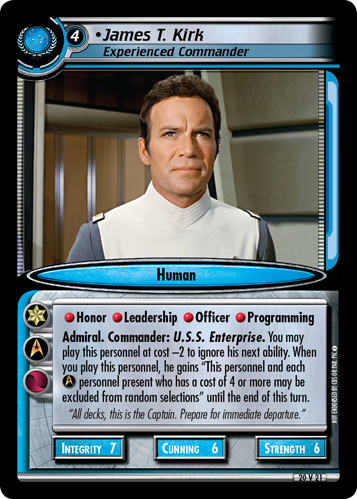 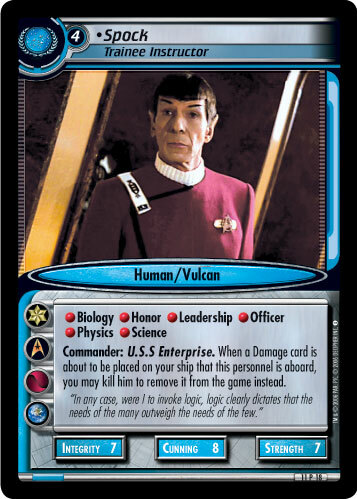 When you play this ship, you may download a personnel who has a cost of 4 or more and play him or her at cost -4 aboard this ship. 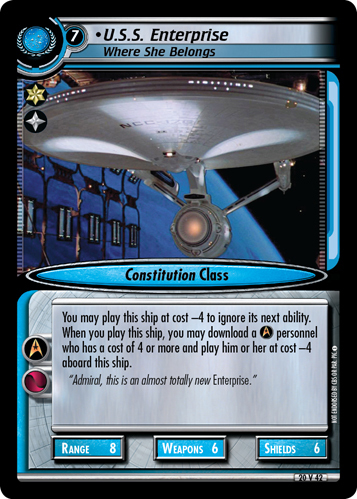 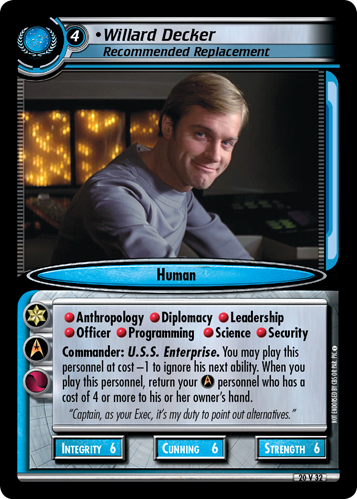 "Admiral, this is an almost totally new Enterprise."